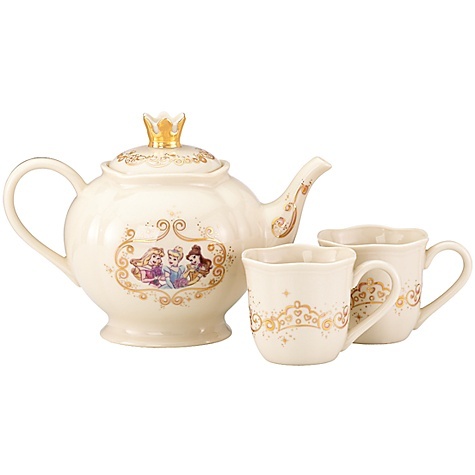 Welcome to the Virtual Tea Party for Rapunzel! 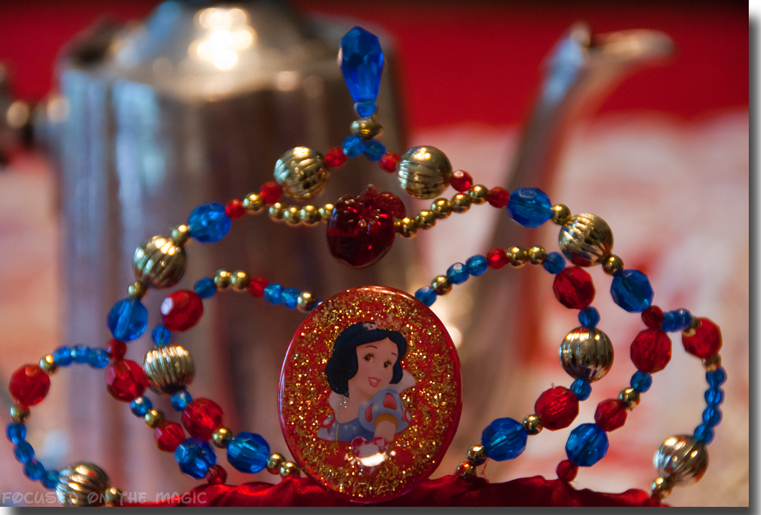 You can see the rest of the participants & their amazing #DisneySide princess projects at the end of this post. All The Princesses are so excited to have Rapunzel enter the Royal Court as the 10th Disney Princess and we thought it would be fun to have a tea party in her honor! 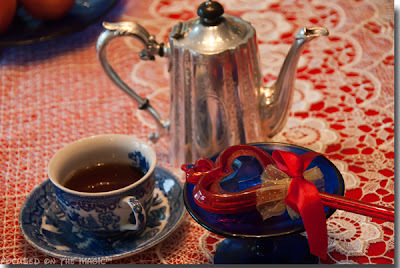 Besides, we just love to have themed tea parties for holidays, birthdays and even an unbirthday. Snow White has put down her tiara to prepare a most magical and tasty Gooseberry pie for The Princess Tea Party. 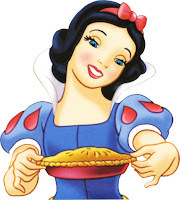 Thanks to her work as a scullery servant in her stepmother's castle, Snow White is quite knowledgeable about cooking, particularly pies. As you may recall, Gooseberry pie was a favorite amoung the dwarves. 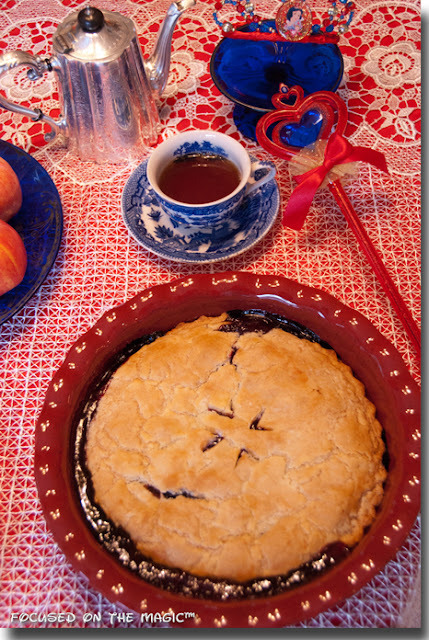 It was the wicked witch who turned her against making it by suggesting apple pie instead. Queen: All alone, my pet? Queen: The... the little men are not here? Queen: [Sniffing] Mm-hmm. Baking pies? 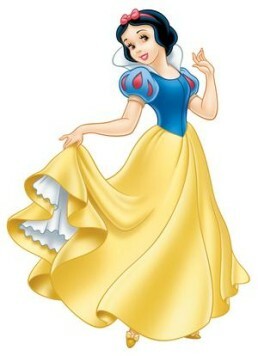 Snow White: Yes, gooseberry pie. Queen: It's apple pies that make the menfolks' mouths water. Pies made from apples like these. 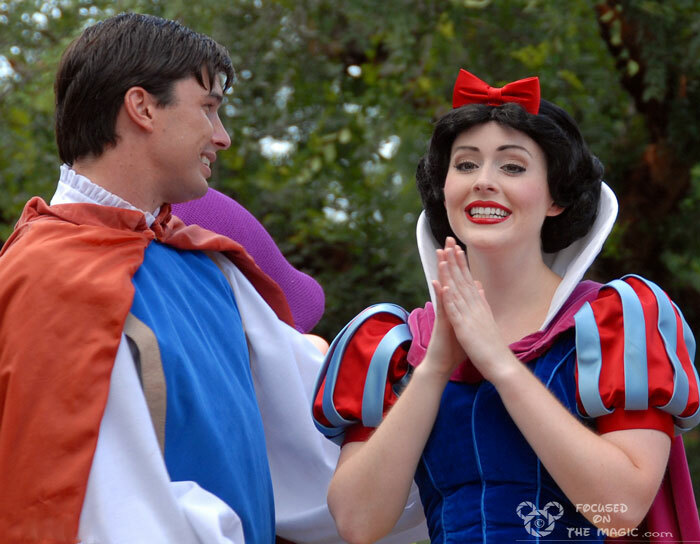 Snow White: Oh, they do look delicious. 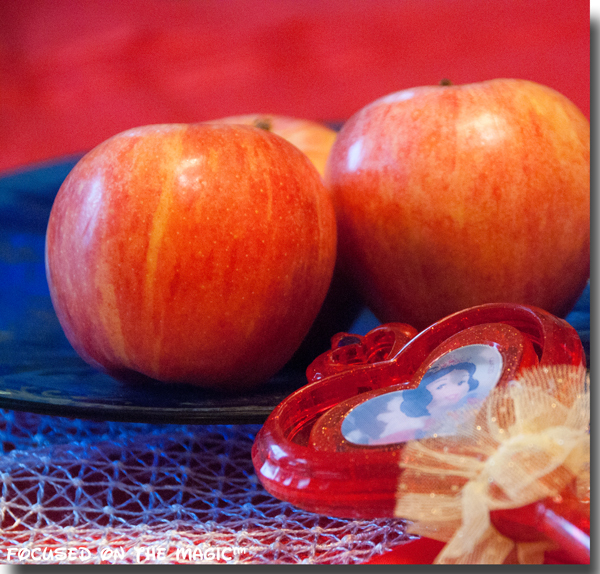 Queen: Yes, but wait 'til you taste one, dearie. Like to try one? Go on. Go on, have a bite. Preheat oven to 300º degrees. (I cut it in with a pastry knife) work in the butter and shortening until the mixture resembles coarse crumbs. Add 2 tablespoons ice water and work with your fingers until the water is incorporated and the dough comes together. Add more water if needed. Sift dry ingredients together. Combine egg, with dry mixture. Stir in gooseberries and mixed berries. Pour into pastry lined 9 inch pie pan. Cover with top crust, crimp edges and prick with fork. Brush with milk and sprinkle with sugar. Bake at 425 degrees for 35 to 40 minutes, or until crust is golden brown. The pie must cool for at least an hour to get a good cut on each slice. Alas, Snow White was so excited about Rapunzel's welcoming that her most magical Gooseberry pie didn't turn out quite as planned. No matter, tish-tosh the Magical Gooseberry Blend tea is delicious. Would you care for an apple? More tea before you go? The Princess Rapunzel Tea Party Hop. 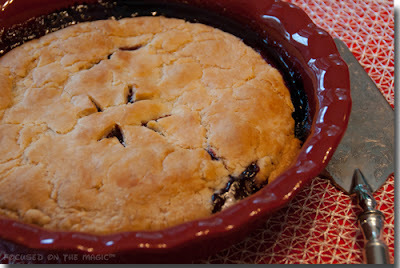 What a great post and what a yummy-looking pie. I wish I could come to your tea party, Deb! Thanks Casey:) It's all this talk of the F&W Fest and it doesn't help that I started a diet, lol. I have food on the brain!!! Cinderella and I wish we could be there more than just virtually - gooseberry pie looks wonderful! That looks so good! I love pie! 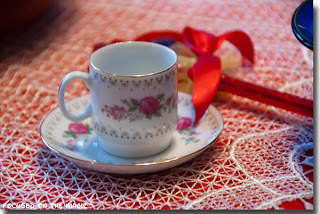 Thanks for being apart of the tea party celebration! You are so welcome!! Thank You, for organizing such a fun event!! Oh, I wish you could be here too! What a beautiful tea party! I am imagining myself there right now! We have never made this, but we will be baking this up. Looks and sounds delicious! The pie and the table look awesome, great pics Debs..
Fabulous, Debs!! I love your party decorations and dishes too. It's a most perfect princess party!